This relatively new driveway material is quick to install and can easily be installed on top of your existing driveway. 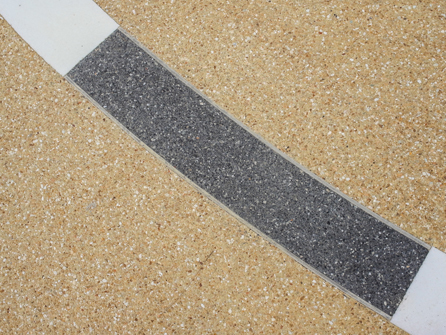 Resinbound is a blend of aggregates such as quartz and granite mixed together with a UV resin and spread onto your driveway no matter what shape or size. 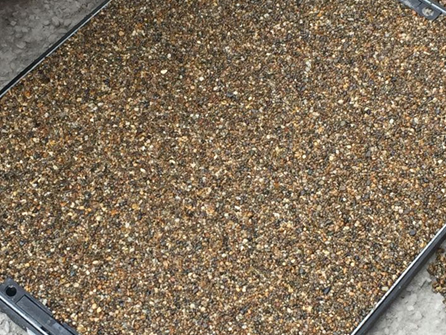 There are many types of aggregates on the market today and they vary in size, shape and colour. It can be a minefield in trying to decide which aggregate or combination of aggregates to choose from. Angular or smooth? Small or large? One colour or 2? Don´t despair, our team have a wealth of experience in choosing the right combination for our customers and can advise and guide you to the aggregates that will be best suited to your property and its surroundings. 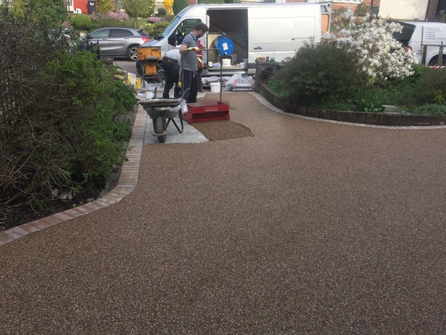 For business owners, entrances or driveways made from resinbound give you the opportunity to add your company colours or even logo, discuss your requirements with a member of our family run team who can advise you on other companies we have worked for in your local area. 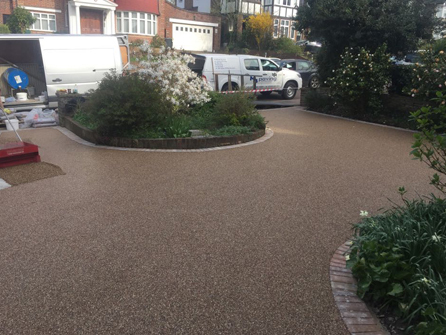 With no loose stones to keep sweeping up and the smooth seamless finish that is achieved, a resinbound driveway is the perfect choice for many homeowners in Bromley, Romford, Chelmsford, Harlow, Welwyn Garden City, St Albans, Watford, Harrow, Richmond, Twickenham and all surrounding areas. 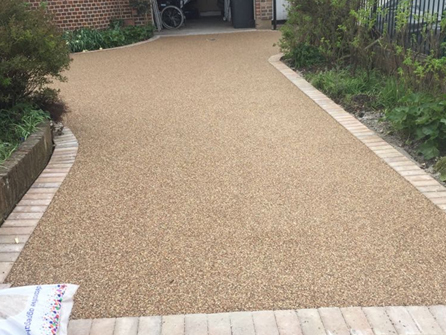 All of our resinbound driveways are fully guaranteed and we do not require a deposit before we get started. 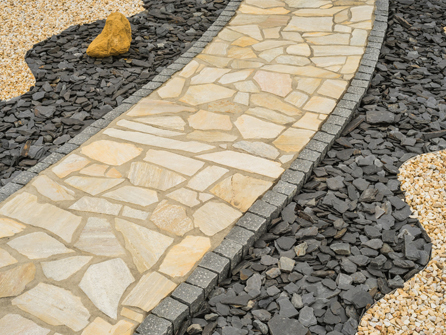 So, if you are looking for a stunning driveway to be installed, look no further than calling our family run team on either London 020 8485 9509 or Hertfordshire 01992 879702, we are waiting to answer your call.